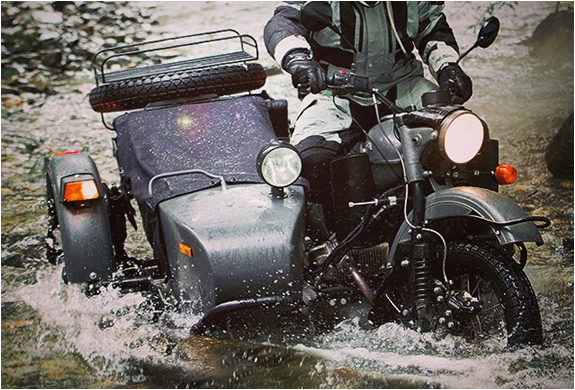 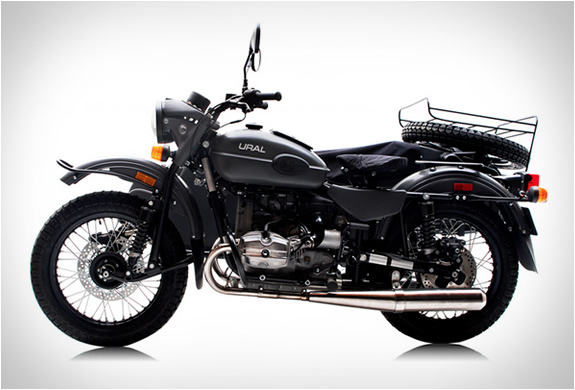 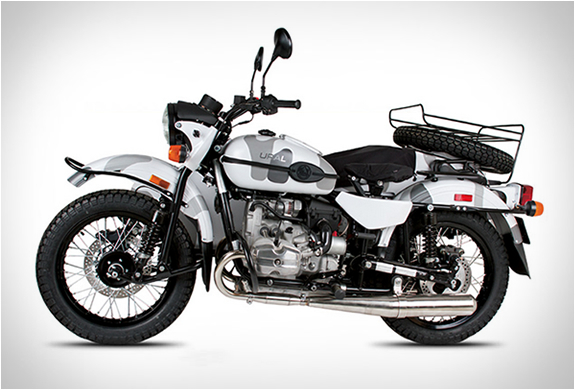 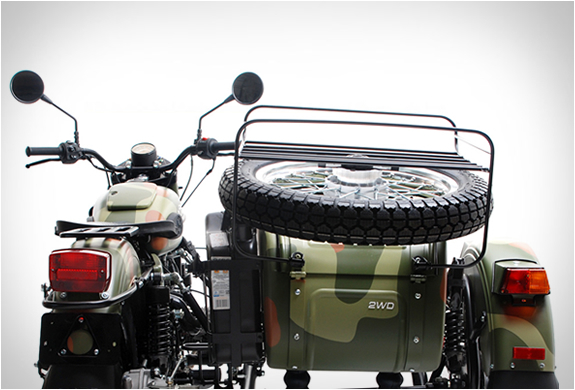 Carry your gear (or people) in style on your next adventure ride with the 2015 Ural Gear-Up motorcycle. 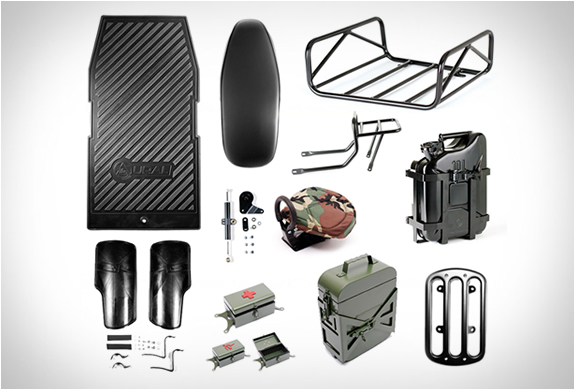 The Gear-Up provides you space for your everyday needs, whether its camping gear, food, or other bulky stuff, youll no longer need to worry about strapping it to your bike, or back. 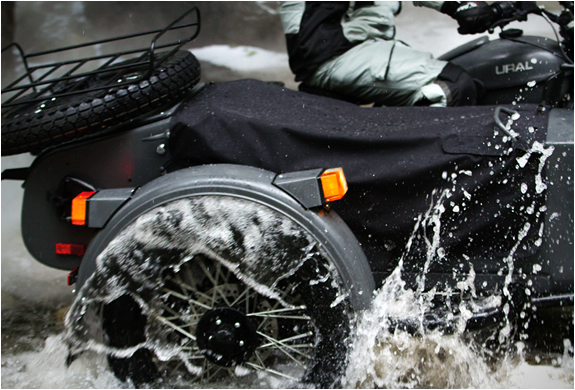 The rugged Gear-up is designed to take a beating, and if terrain gets rough, you can quickly change between single-wheel drive and the unbelievable traction of dual-wheel drive with the flip of a lever. 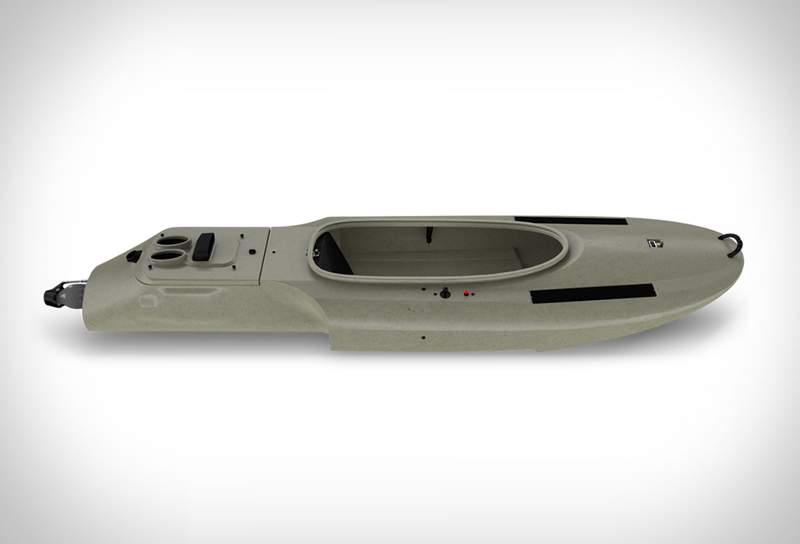 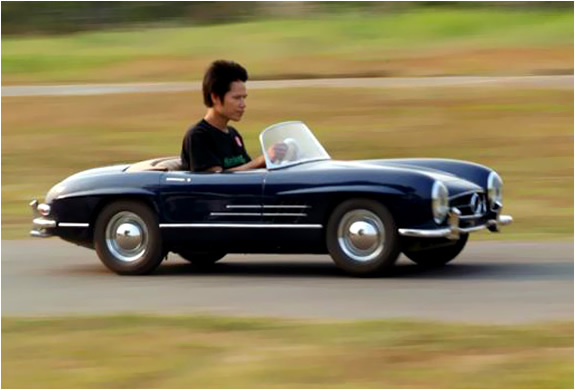 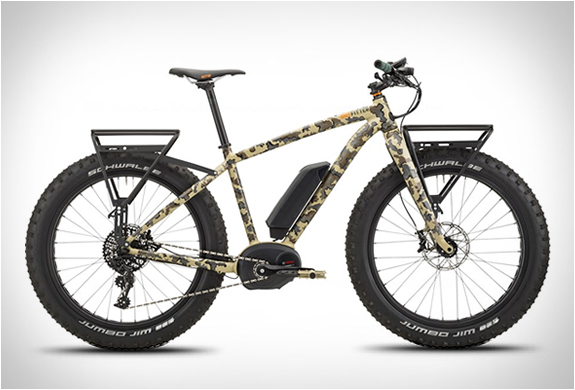 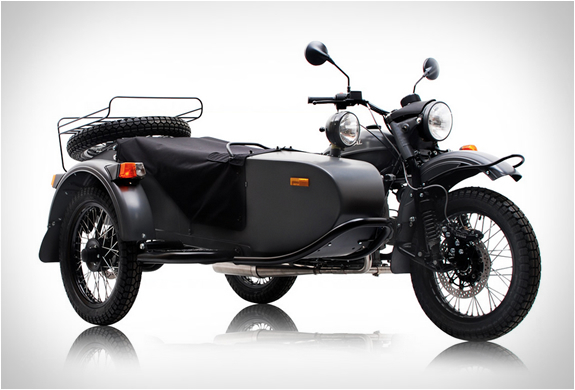 Also included is a spare tire, luggage rack, sidecar bumper and a high-intensity spotlight to light your way into the wilderness. 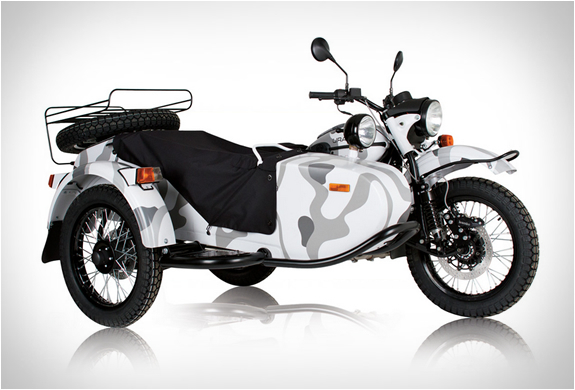 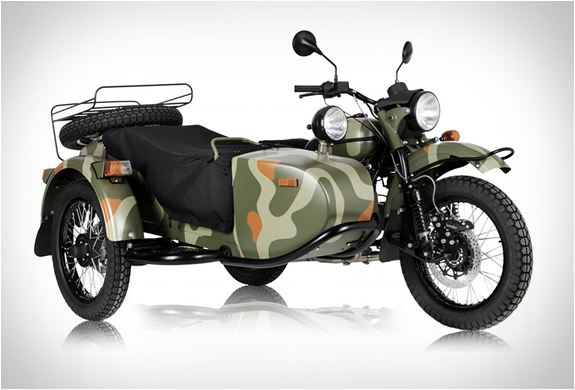 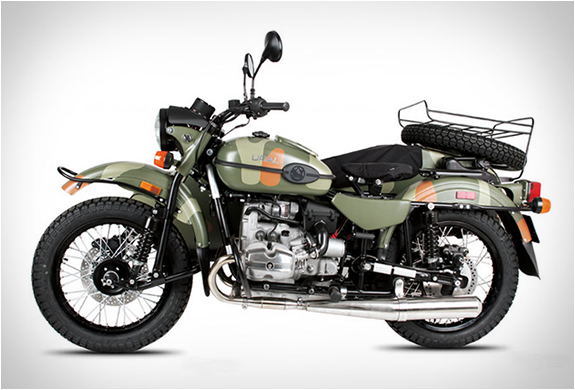 Available in two camo styles and grey, you can also order your bike in a custom color, and choose from a extensive line of accessories available to help tailor your Ural to your specific needs.